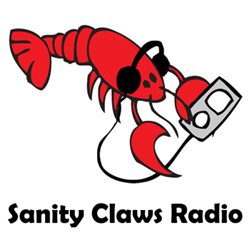 Sanity Claws Radio – Best of 2015! We talk about our tops of the year in this episode of Sanity Claws Radio. Scotty, Karen, Steve, Jon, and Minnesota Mike sit down to reflect on 2015 where we name our top highlights of the year. We run the gamut from video games, to tabletop, to comics and more. Also the full group get in on a Mysterious new table top game, Steve gets his cards on, and Jon goes Monster Hunting. And finally, we finish off the show with a heated round of I Can Top That. It’s a fun time! Join in Won’t you? ← Sanity Claws Radio – Bell’s Planet Series Beer!